Winter in Missouri is unpredictable, and though we try to plant trees and shrubs that will withstand this potentially crazy weather, some things are just beyond our control. Prepare plants for the upcoming cold weather by NOT fertilizing or pruning after August. Both of these activities stimulate new growth, which is fine through September, but not a good idea in October or later. 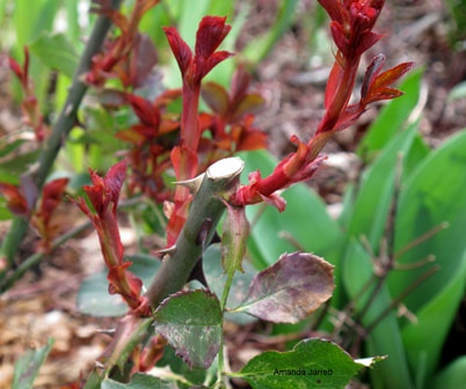 New growth late in the season can mean dieback or possible death of the plant. For plants that need a little extra winter protection, the best time to apply mulch is after Thanksgiving but before Christmas. 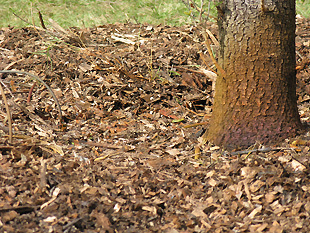 Soils need to cool down and can even be frozen at the time of mulching. This added layer will help keep the soil cool longer during a January thaw as well as an early spring warm-up. This can be critical on fruiting trees like cherry and peach, newly planted shrubs, trees, bulbs and perennials, or non-natives like Japanese maple and crape myrtle. 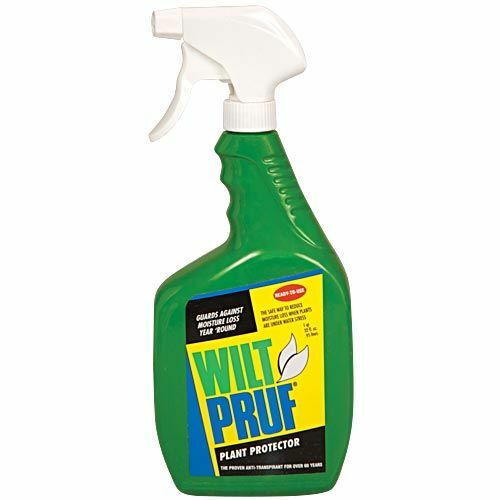 Apply Wilt-Pruf to broadleaf evergreens in early November to Azaleas, Rhododendron, Holly, and Magnolia. 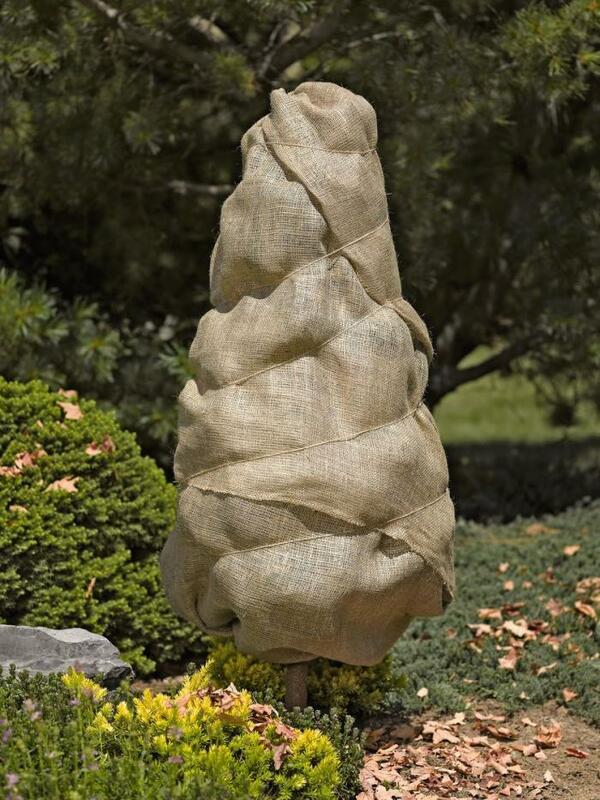 Even needle evergreen shrubs can be damaged by sudden cold and strong winds when the ground is frozen. Wilt-Pruf prevents leaf and needle burn by reducing transpiration. Arborvitae, Spruce, Juniper, Boxwood, and Yew may benefit from this protection. Using burlap or other neutral-colored breathable material, wrapping the foliage of the whole shrub will reduce wind and sun damage. Plus this will keep deer from browsing all winter. The downside? The purpose of planting evergreens is to enjoy the winter color. Maybe Wilt-Pruf and Liquid Fence are a better way to go. Newly planted trees, fruit trees, and maple trees will get off to a better start if the trunks are wrapped from November to March the first year. 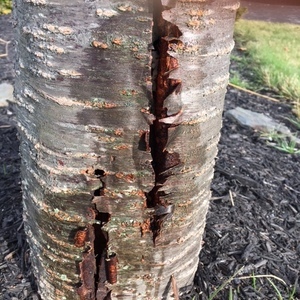 The wrapping shades the trunk from sunlight heating the bark during the day, subjecting the bark to bursting cells as temps drop at night (Freeze Cracking), plus it acts as a physical barrier to animals that may rub against or eat the bark. Though shrubs should be resilient, sometimes they are not when it comes to the weight of a heavy snow or heavy layers of ice. During or after a snow storm, brush off some of the snow so that the weight doesn’t break branches, especially if it’s a wet snow or rain is forecast. It is NOT recommended to shake or brush off ice, however. That will tear needles, leaves, and small branches. If the weight is getting to be too much, pouring warm water over the branches to melt some of the ice is about all one can do. Maybe a hair dryer with a long extension cord? 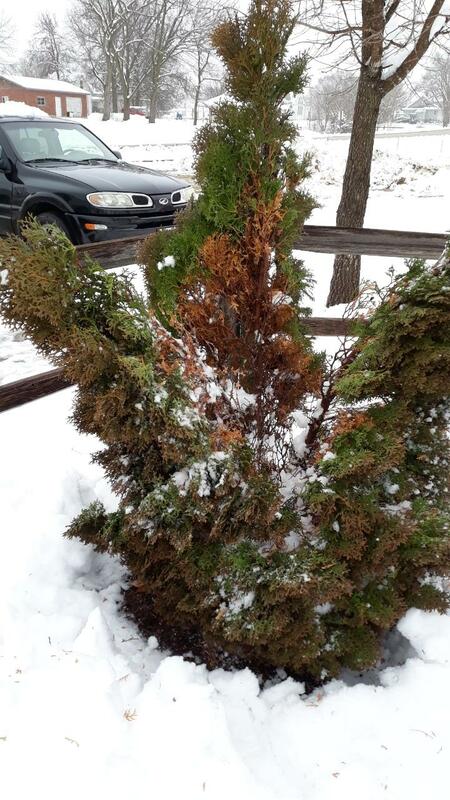 Though the weight of snow and ice doesn’t usually kill a shrub or tree, the damage can be devastating and take many years for recovery. Arborvitae is notorious for splitting apart. The branches will bounce back but will be forever weakened. Tie the main stems together on the inside to provide extra support. Simply supporting the weight of branches from underneath can be a solution to reduce breakage. Be sure to protect the bark on the branch by cushioning the contact point with cloth, rubber, or other material that will reduce rubbing. Tying the branches together with twine can reduce exposure to snow and ice. 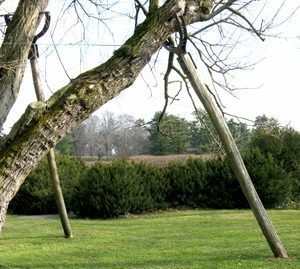 For older trees, cables and braces are sometimes installed to extend the life of the tree. 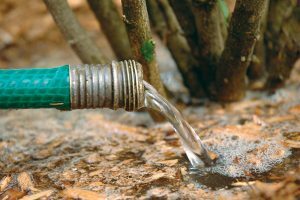 One of the worst causes of winter damage is excessively dry soil. 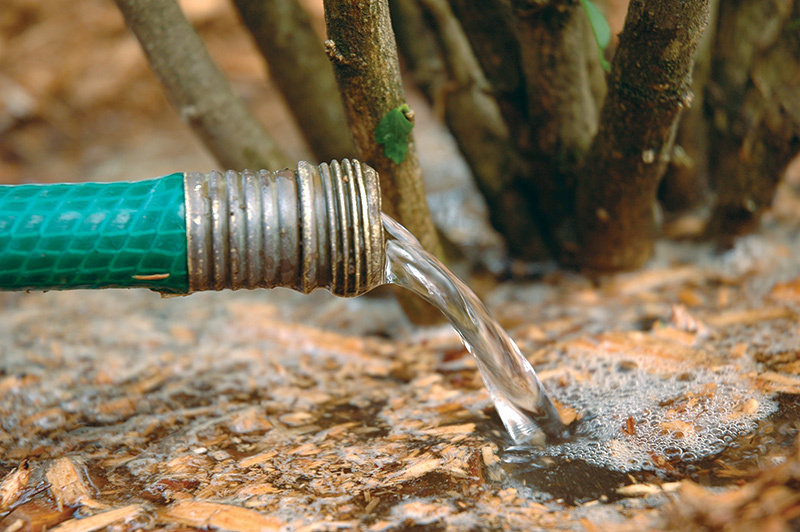 Because winter watering doesn’t need to be done every year, this task is not top-of-mind. But the years when it is dry (2016-17 and 2017-18), winter drought is devastating. 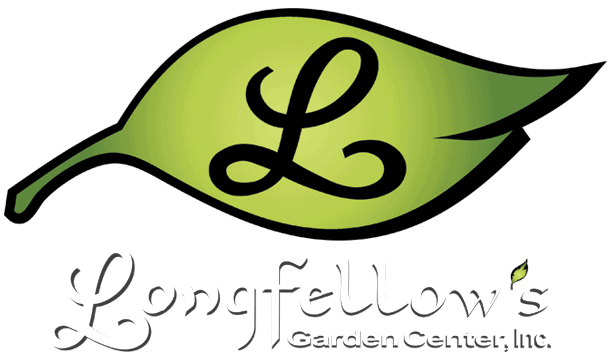 Longfellow’s recommends watering once every 3 weeks if the ground is thawed and there is not rain or snow melt.